Let’s be real. Us New Yorkers consider everything north of The Bronx to be “upstate.” Technically, Dutchess County isn’t upstate, but to me, going here is even better than making the long trek up to the Catskills and Albany. Dutchess Tourism hosted me for a day of farms and food, and I’m mapping out my itinerary so you can enjoy all the same sites. If you’re looking for a nice weekend getaway or even a day trip, I highly recommend you head to Poughkeepsie or Beacon for some great food, fun experiences, and beautiful scenery. If you have any interest in food and the culinary arts, or just love to see a beautiful college campus, then I highly recommend stopping by CIA for a tour. There are actually several restaurants on campus, so you can turn your visit into a food tour. We went to the higher end French restaurant, Bocuse, for dessert, which turned out to be cookie dough ice cream made table side by one of the students. This is a cute, casual farm-to-table restaurant with beautiful outdoor seating. It’s great for a pre or post-hike lunch, or just if you want to enjoy a nice meal. And this is the place where I found my new favorite beer. Keep in mind, I’m not a beer person. 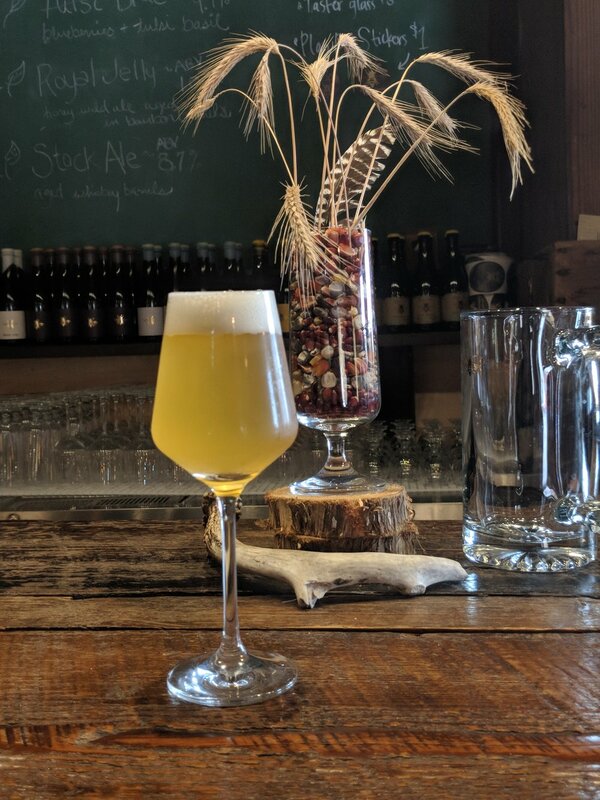 Not only is the farm a beautiful place to go see, but this brewery is offering some creative and delicious beers with yeast made from, guess what? Honey comb. Plan Bee farms has their own bee farm where they source their honey comb, and they brew their own beers with local ingredients. My personal faves? Blueberry basil, ginger & rainbow carrot, and classic honey. If you like adorable farm animals and eating cheese, then this is a must. Visiting the farm is a fun interactive activity for everyone, but I recommend doing a cooking class or a cheese tasting while you’re there. We spent the majority of our trip around Poughkeepsie, but let me tell you when I say Beacon is the perfect destination. You can take the MTA train, and then there’s an adorable town, great restaurants, scenic views and a hiking trail right off of the town. You don’t need to rent a car to get around, and there’s a lot of things to do. We visited Roundhouse Beacon which is a beautiful hotel, restaurant and event space with stunning waterfall views. I recommend this place for a date, or a nice weekend getaway. I am already planning to go back.